Events 8/31 – 9/6: YallaPunk Festival & Conference, Black Panther in Clark Park, 90s Dance Party at Fringe Arts, (Kensington) Streetplay & More! The latest and greatest things happening in Philly from Friday, August 31 to Thursday, September 6. Share your event by tweeting us @citywidestories or tagging us on Facebook. Don’t miss YallaPunk, a music and arts festival created as a direct response to negative depictions of middle eastern and north african populations. YallaPunk is celebrating one year as an organization with a weekend full of programming including comedy, music, poetry, workshops, and more. It’s WAKANDA FOREVER in Clark Park! Wear your best superhero outfit and take an adventure to Wakanda to see the smash hit “Black Panther” under the stars. Amalgam Comics & Coffeehouse will be there with activities, giveaways, and a costume parade. Come hungry and grab food from Baby Blues BBQ Philly, Foolish Waffles, and Lil’ Pop Shop. Bring your blankets and chairs and enjoy a free movie in beautiful Clark Park! How To Clean A Window is a playful workshop on cleaning, self-caring and being bored. First performed at the National Liberty Museum, participants will be led by an audio tutorial during this workshop in order to explore the poetics of everydayness. Come be a part of this intriguing workshop and learn more about yourself and others in the process. 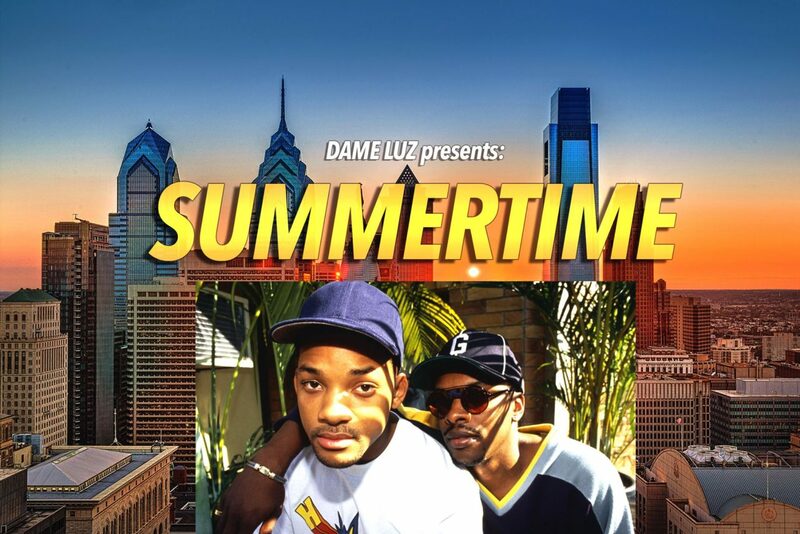 Philly’s biggest and hypest Summertime Outdoor 90s monthly party series is back! Strictly ’90s jams will be played and, 90s attire and dance moves are highly encouraged. You won’t want to miss out on this summertime dance party. The Blue Corn Green and Organic Festival gathers communities from all walks of life! The festival aims to promote and strengthen prehispanic and indigenous culture, and promotes a sustainable lifestyle that fuses old traditions with new ways of living. You’ll learn all about the beautiful history and tradition surrounding blue corn, and hopefully gain a new appreciation for the cultures that have preserved this grain! As summer comes to a close, bring some greenery to into your home with your very own succulent terrariums! The workshop includes all the ingredients you need to create your terrarium, and you will be guided step-by-step through the entire design process. You’ll also get some of the best kept secrets to making sure your succulents thrive in their new home! Come out for an evening of live readings from accomplished local authors Sam Allingham, Elysha Chang, Christine Kendall and Rahul Mehta, who will share their writing. Afterwards, the floor will be open to anyone else who wants to share some of their writing. The author’s works will also be for sale on site via a pop-up from Penn Book Center. Cost: Free Explore the past, present, and future of Kensington at this performance being shown through this year’s Fringe Festival. (Kensington) Streetplay is designed as a walking experience, and was written and performed by residents to share their perspectives.